Norway Tax are a specialist consultancy of fully qualified and highly experienced accountants providing advice and solutions on UK and Norwegian tax compliance to companies and individuals who have any involvement with the Norwegian tax system. The PAYE and tax system in Norway is every bit as complex as the UK system, but also has many more and different reporting requirements, and a full understanding of the Norwegian tax system is vital in order to meet your obligations. 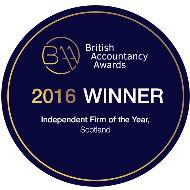 Founded by Sue Nicolson and Angus Nicolson in 2004, we have grown through our determination to provide an excellent service to all our clients. Failure to meet the reporting requirements is potentially a much more serious matter than in the UK, and with a qualified accountant helping you through the maze, we can make life simple for you. We currently act for dozens of employers and over 250 individuals and companies, helping them prepare their Norwegian payrolls and to submit their business and personal tax returns. At the present time we submit around 200 payroll returns each month covering hundreds of employees and contractors. * Saving in exchange rate compared to offered rate by Bank of Scotland. Saving in charges refers to a £15-20 foreign payment charge compared to 25 Krone in our solution. We can help employers at every stage of their dealings with the Norwegian Tax authorities (Skatteetaten) from meeting your obligations for registering as an employer in Norway; ensuring their employees are properly registered with the authorities in Norway; ensuring that the correct National Insurance is paid in the correct country - and that the most beneficial tax structure is created; through to dealing with returns to COFTA and to the Inland Revenue in the UK. We can use our fully compliant software to record pay and expenses and prepare payslips that are approved by the Tax authorities in Norway, and provide us with all the information you will need for the UK Inland Revenue, and your accountants. 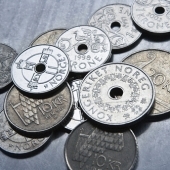 Unlike other payroll bureaux, we make sure your employees receive a Norway compliant payslip each and every month to evidence the taxable income and tax paid in Norway. We can prepare and submit Tax Returns in both the UK and Norway either as part of a package for the employer or on behalf of an individual employee. If you already deal with the Norwegian tax authorities, then we can review your policies and practices to ensure that you are not making expensive mistakes - neither over or under paying tax in one or both countries.